The biggest problem in every home or office is poor Wi-Fi signals. And the main reason to that is the cheap routers which you use. Its simple, when its cheap, its of course dont have the perfect hardware or chipset to support. Every router which you see in the market boasting it as 150Mbps or 300Mbps, they are all a big joke! None of them will actually sustain more than 20Mbps even or they will die in less than a year or a little more. That being the reason, we officially did not promote any wireless routers to our customers. But now we do and that is Ubiquiti AirRouter Indoor WiFi Router. After extensive testing of this router at our main offices and warehouse, we have found this a serious device to deliver! Max. indoor range: 328 ft.
Few years back, Ubiquiti Networks released their first indoor WiFi router called the AirRouter 802.11n Wireless Router. This commercial indoor router has a sleek design that would fit well into any home or small office. Theoretically, the AirRouter can connect to any device from a maximum distance of 100m and at 150 Mbps. In reality, though, this is not always the case. Unfortunately, in real life, this product connects well at shorter distances than the predicted maximum distance. This is mainly because of thick walls and interference which will distort or weaken the signal. It offers a single-band access point,i.e, 2.4 GHz band. And the antenna is internal. The main advantages of this WiFi router include its multi-purpose function. It not only serves as a standard router that you can use in your home or small office, but it can also operate in bridge or router mode. It can also be used not just as a router, but in access point mode. According to multiple user reviews, this is probably the best function for the AirRouter. Configuring the AirRouter is tough, so that will be done by JetSpot Team before they install it for you! The price of this Ubiquiti AirRouter Indoor WiFi Router is 3500 INR including Taxes and it comes 1 Year Manufacturer Warranty. You may ORDER IT ONLINE or just ask for it to the JetSpot representative. I’m using 2 of these routers to provide a Wi Fi A/P to my 8 office rooms in one of my office. This Air Router works extremely well and it simple to set up. You can manually select channels within the software when using multiple air routers to have multiple access channels. We are using this in an office building on the second floor. I can get 3 bars in the basement. Our Cisco router does about the same – maybe a little better. We got this one as it was recommended by someone who installs wireless as a business. Time will tell if it continues to deliver. I’ll buy these to replace or upgrade older installations. [/testimonial_sc][testimonial_sc]If you do not need dual band router get this one. 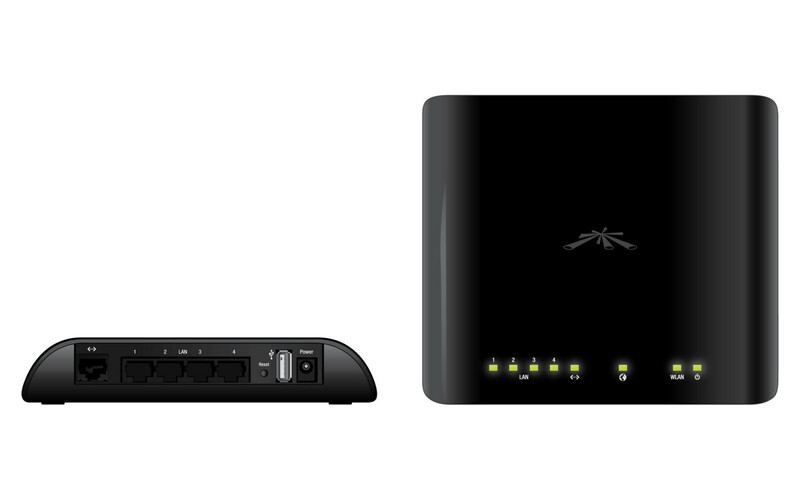 A ton of features are available within this router to tailor it to your needs. We have deployed about 15 of these in our group of auto parts stores for employee wifi access and they are bullet proof. I love the ability to create a single configuration and upload it quickly to the other routers we deploy. [/testimonial_sc][testimonial_sc]I cannot begin to say how happy I am with the performance of this router. The signal range is excellent, setup went very straightforward, and it works very good. This is a great router! My download speeds have increased and remain steady without the interruptions. Yet, to be honest I do not know if I need one since the first seems to have a much better range that any other router I have purchased.